Congrats to Rhonda, who won a copy of GRACE UNDER PRESSURE by guest author Julie Hyzy! 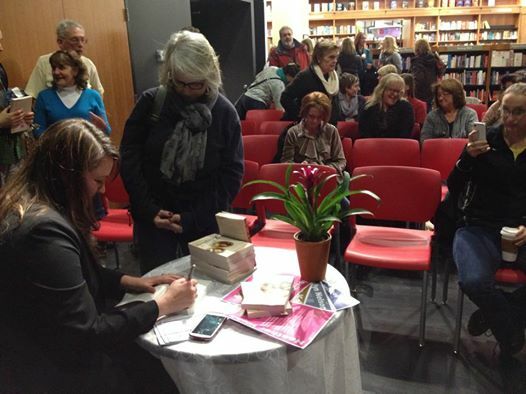 Heather Webb had a wonderful local signing event and celebration at the UConn Co-op Bookstore in CT, then jetted out of town the next day for another at Quail Ridge Books & Music in North Carolina. She’s having a blast meeting happy readers! Lisa Alber received the following four-star review from RT Books Reviews. She’s still floating—can’t quite believe it. Susan Gloss’s publisher, HarperCollins, is giving away 30 copies of her book, VINTAGE, on Goodreads! Enter to win here before February 6 and add it to your to-read list! Lori Rader-Day launched her brand-new website, and she’s in love with the design! Guess where the color scheme came from? Get the story here. Natalia Sylvester participated in LitChat Literary salon’s 5-year anniversary event this weekend and got to talk about the term “genre” and what it brings to the literary cannon with fellow authors and readers. She had the most amazing time. And she has pictures! 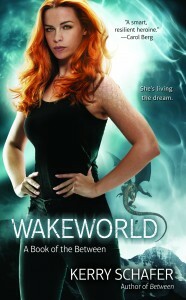 2013 Deb Kerry Schafer‘s WAKEWORLD was released! Congrats, Kerry! 2011 Deb Tawna Fenske was featured in an article about hot reads for cold temps in USA Today! The Left Coast Crime Award nominations are out, and among them are recent guest author Terry Shames, nominated for “The Squid” (best novel set in the US) for her debut novel, A KILLING AT COTTON HILL, and Catriona McPherson, nominated for the Bruce Alexander Memorial Historical Mystery Award (best historical mystery novel covering events before 1960) for DANDY GILVER AND A BOTHERSOME NUMBER OF CORPSES and for “The Calamari” (best novel set outside the US) for AS SHE LEFT IT. In another set of recent mystery/crime award nominations, the Agatha Awards, we spotted two more Deb Ball guest authors: Hank Phillippi Ryan, nominated for best contemporary Agatha for THE WRONG GIRL, and Gigi Pandian for best short story for “The Hindi Houdini” in FISH NETS (Wildside Press). And we haven’t hosted her YET, but in June you will be seeing a post from NYT best-selling author Joelle Charbonneau; she’s nominated the best children’s/YA Agatha for THE TESTING. Also in June, you’ll meet guest author Leslie Budewitz, whose debut novel, DEATH AL DENTE, is nominated for the first book Agatha. Congrats to all our friends!